In general terms, 529 plans com in two flavors: pre-paid tuition plans, and college savings plans. I’ve put together a thumbnail sketch of each type, below. Pre-paid tuition plans allow people to pre-pay for all or part of a future college education at today’s prices. Some of these plans allow you to buy “units” of tuition (corresponding either to a set number of credit hours, or a percentage of the tuition bill), whereas others allow you to purchase contracts for one to five years of tuition. The advantage of these plans are that they are guaranteed to cover the future cost of education. A major disadvantage is that they are targeted toward public colleges or universities, and are typically limited to state residents. 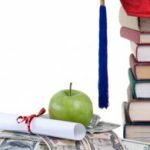 Beyond this, pre-paid tuition plans cover only tuition and mandatory fees, though some plans offer a room and board option, or let you use excess tuition credits for other expenses. College savings plans allow an account holder to save and invest for future college expenses on behalf of a beneficiary. The account holder can choose amongst a number of investment options including stock and bond mutual funds, money market funds, and age-based portfolios. These plans are similar to Roth IRAs in that there are no federal income tax benefits, but withdrawals are tax free as long as you use them to cover qualified expenses. Qualified expenses include tuition, fees, room and board, textbooks, and computers (if required). The contribution limits on these plans are very high, generally in excess of $200k total, and they are also more flexible than pre-paid plans in that you’re not locked into a particular school (or even state). The primary disadvantage is that there is no guarantee that your investments will cover the future cost of a college education. Yes, anyone (including adults) can be listed as the beneficiary. Even yourself. I know I am a couple posts late but I had a question. 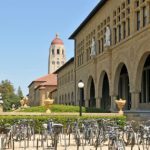 What if I am going back to school for a MBA? Can I save money for myself in a 529? I would be careful not to overfund– especially in the child’s name or your own. It may have a negative impact financial aid apps . . . many recommend putting it in grandma’s name. Don’t fund the 529! Not until you’ve funded your IRA. You have more options with the money in your IRA later. You may even want to pay more into your mortgage before funding the 529. You will not loose money paying off a debt and will save money on interest. Otherwise the debt will be waiting for you forever. You child may get financial aide, scholarships, or decide not to go to college. There’s a lot of risk in funding the 529 when you try to withdrawl from it. One of the biggest mistakes I see families making is funding a 529 plan while holding non-mortgage debt, like credit card balances. This approach doesn’t make any financial sense. It’s much more effective to focus on paying off most types of debt first before socking away for a child’s future education. There are just too many frugal options for getting kids through college – including low interest government loans, grants, scholarships, financial aid programs like work-study, and budget community college. Be wary of the word “guarantee”… Alabama (my state) is currently in a tizzy over this very issue. The state PACT (prepaid affordable college tuition) plan was basically the same thing (or may have actually been a 529, not sure) and the people who signed on from the beginning were “guaranteed” that their tuition would be 100% covered. Fast-forward 20 years, with skyrocketing tuition rates and a plan manager who ran the fund a bit too loosely, and you have a budget crisis akin to the Social Security mess — people who paid in may not get back what they were promised. One remedy that has been proposed is to cap tuition rates at state schools for those who have invested. But that shifts the burden onto everyone else who found their own way to pay for their kids’ college, because the schools will just raise their rates even higher. I haven’t heard of any other proposals so far. Either way, there’s going to be a lot of ticked off people in this state in the near future. I wish the government could create a simple plan like the IRA where you can open a plan similar to a 529 in any brokerage and trade any security. The fact that states offer it and its management is outsourced to another company all lead to fees which could be retained by the investor. 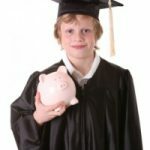 Why do 529 plans restrict my investment choices. When opening an IRA I can choose any fund to invest..why not the same for 529s? 529s are a great tool. I’m still a few years away from having kids, but I’m having the grandparents set of 529s for them whenever they are born. The wifey and I will make contributions as well, and that way we won’t have to stress about paying for school.